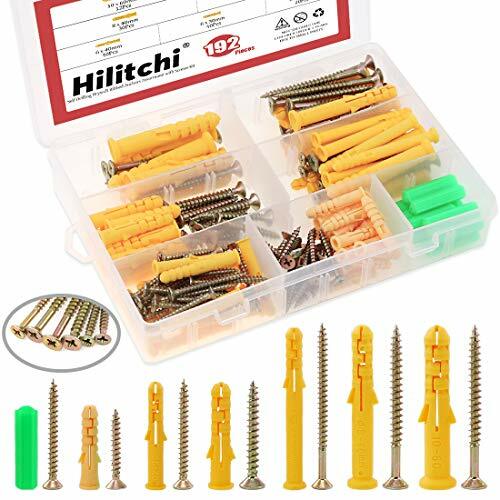 Hillman 967774 1/4KEG 8X1-3/4 EXT Screw 8" x 1-3/4"
Glarks High precision M6 hex socket head cap screws bolts and barrel nuts assortment kit Material: Zinc plated carbon steel Color: Yellow Size: M6*40mm, M6*50mm, M6*60mm, M6*70mm, M6*80mm of screws, M6*12mm barrel nuts Application: Best for the assembly of beds, cots and flat pack furniture, also good for office appliance, communication equipments, ship assembly and other machinery industry Package include: screw: M6*40 ---------------- 10pcs M6*50 ---------------- 10pcs M6*60 ---------------- 10pcs M6*70 ---------------- 10pcs M6*80 ---------------- 10pcs Nuts: M6*12 ---------------- 50pcs Total: 100pcs NOTE: Please check the size carefully before purchasing, thanks for your support ! Genuine Original Equipment Manufacturer (OEM) parts! 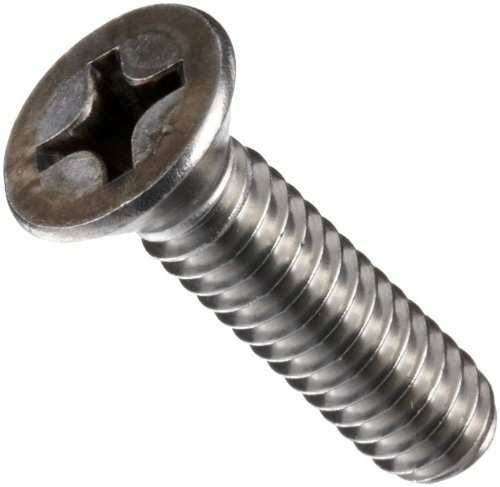 This screw (part number 06-75-2402) is for reciprocating saws. Follow appropriate safety practices when installing screw 06-75-2402. For Milwaukee. 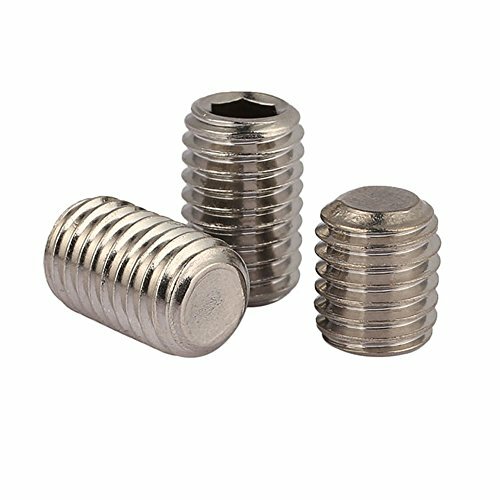 This listing is for M10 Button Head Socket Cap Screws. 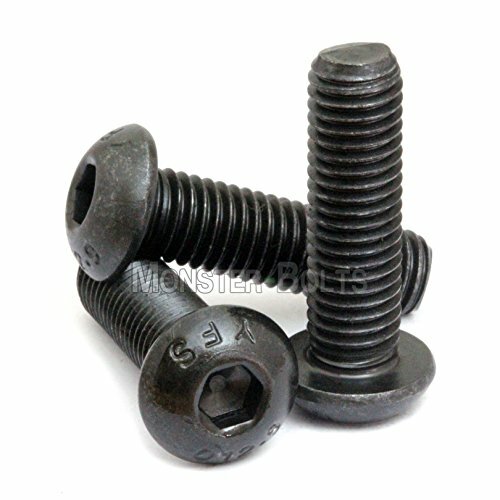 These are new 12.9 Class Alloy Steel screws with Black Oxide coating. Jet Fitting & Supply Corporation has been selling MACHINE SCREWS since 1946. Trust in Jet to deliver you high quality fasteners! Trim Screws are specialized screws designed to attach drywall sheets to wood or metal studs. Trim head screws are less noticeable when inserted because of the smaller head. Trim Head screws have a head diameter that is about 1/3 smaller than bugle head screws. WIDE APPLICATIONS Essential home item. 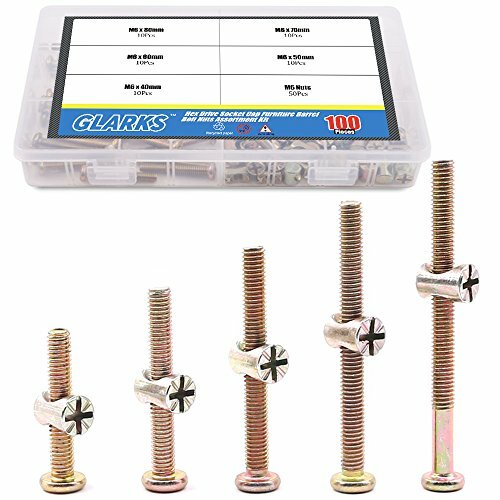 These plastic anchors are intended for light duty anchoring applications and offers extra support for office or workplace. 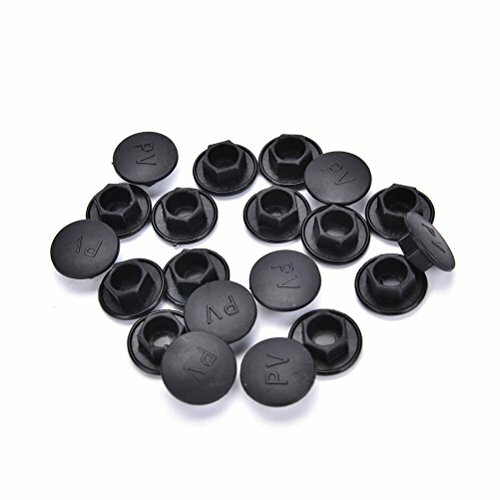 They surely do the trick if you need nails or anchors to hang pictures, painting, fasten bookshelves, hanging a towel hook in the bathroom, hanging up other items or fixing many things around your house. They can be used in concrete, block, brick, and wallboard. Great value and a great asset to have handy for the house projects. HOW TO USE Drill a hole (depth and diameter in sync with the anchor) with a electric hammer drill, and then insert the anchor through the hole gently. Finally twist the self-tapping screw clockwise with a hammer or screwdriver. Ribs on both side of the anchor serve the function of stabilising anchor tightly in the wall when twisting the screw in. At the same time, the split of anchor would expand to create a snug fit into the wall. So this could provide more holding power. 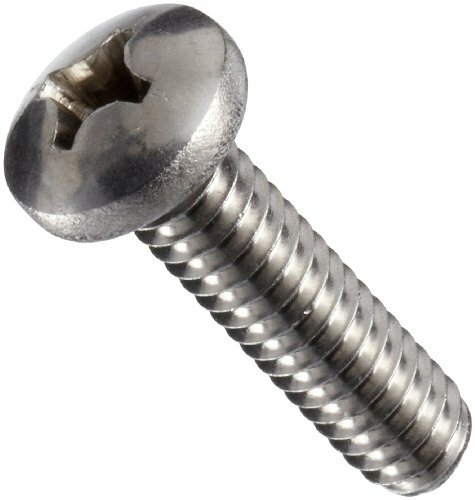 The 316 stainless steel machine screw has a plain finish and a flat head with a Phillips drive. The 316 stainless steel grade provides strength and offers better corrosion resistance than 18-8 stainless steel, especially in marine environments. The material may be slightly magnetic. The Phillips drive has an x-shaped slot that accepts a Phillips driver and is designed to allow the driver to slip out of the head to help prevent over-tightening and damage to the thread or fastener. The flat head is cone shaped for use in countersunk holes and has a flat top that fits flush with the mated surface. 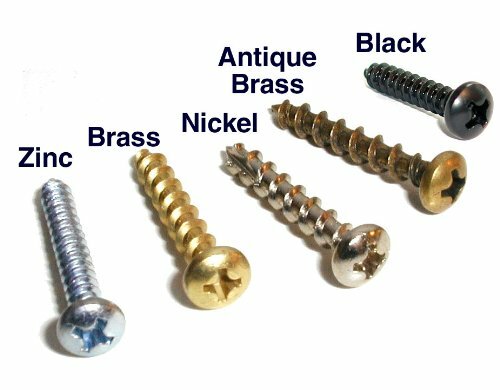 Machine screws are threaded fasteners that are typically used with nuts or drilled and tapped (threaded) holes. 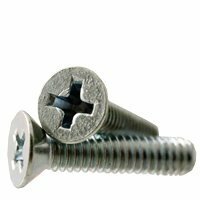 Machine screws are available with a variety of head shapes, which determine how the screw interacts with the mating surface, and drive styles, which determine the type of driver required to install and remove the screw. Brand: Corona Clipper, Inc. | Manufacturer: Corona Clipper, Inc. 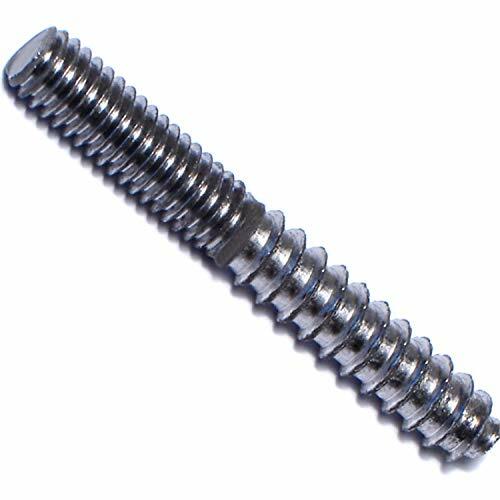 The stainless steel machine screw has a plain finish and a pan head with a Phillips drive. Stainless steel resists corrosion and may be magnetic. The Phillips drive has an x-shaped slot that accepts a Phillips driver and is designed to allow the driver to slip out of the head to help prevent over-tightening and damage to the thread or fastener. 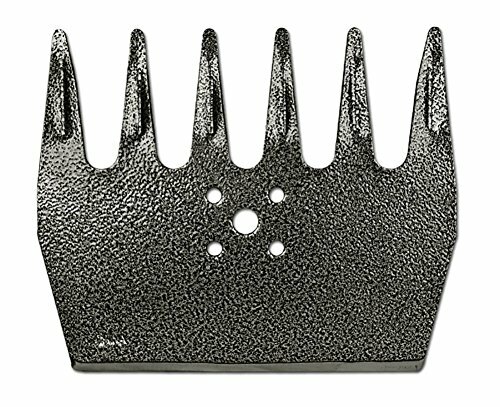 The pan head has a flat top and short vertical sides with a rounded top edge. 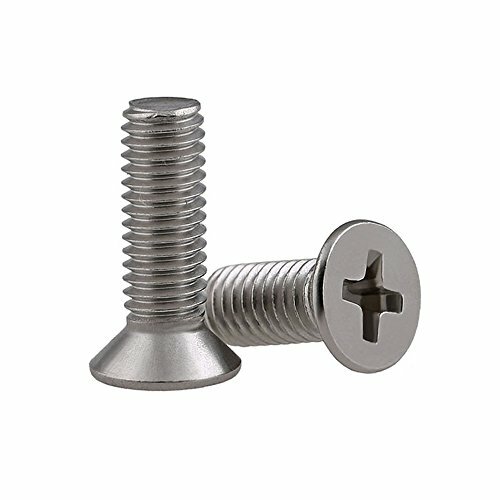 4" x #10 Grey Coated Deck Screws feature a solid construction ensuring a fast driving force and firm holding power. Designed for use where rust resistance is important and ideal for exterior deck or railing projects.